This summer, I am fully embracing the mantra if-you-can’t-tone-it-tan-it. It’s taken years, but I have finally found a self-tanning routine that looks natural and, most importantly, I can maintain. Turns out, my ideal, subtle tan was always right in front of me, in the drugstore: It’s all about the foam. 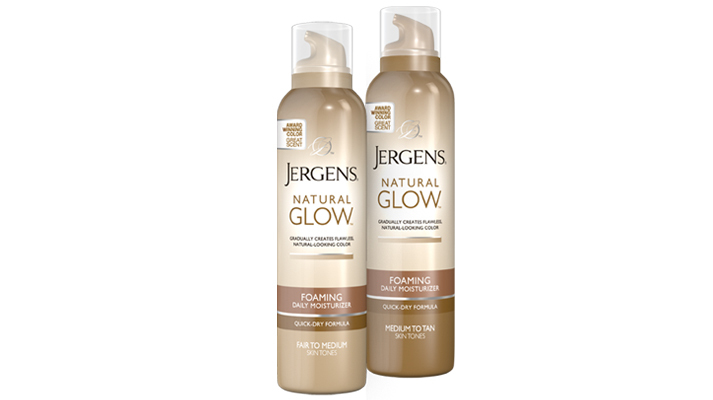 The quick-drying, easy-to-apply, fool-proof Jergens Natural Glow Foaming Daily Moisturizer. It’s genius mamas. Totally superior to the Jergens Natural Glow Daily Moisturizer lotion that seems to own the market. Here’s why: It dries completely in seconds. As in, you can pull on spandex after applying if you want to. It glides on easily for streak-free color. It has no self-tanning odor. Dare I say, this self tanner is The One. I have been freaky pale for way too long because I am too lazy to wait around, naked, for other (more expensive, more hyped) self tanning products to dry. Also, most self tanners are so drying they make my skin itchy. Not this fabulous foam. It will come with me right into winter. File this under: Drugstore No-Brainer. P.S. I also love Jergen’s BB Body Cream. True story: I came home from a Soul Cycle class drenched in sweat. I had an hour to shower and get dressed to take my baby to a mommy and me class. The water in my building had just been shut off unexpectedly due to a leak. There was no telling when it would come on. I considered skipping the class if I couldn’t bathe—it was that kind of a work out. I didn’t want to offend the other mothers. Luckily I remembered that I had been sent these Ban Restore Total Refresh body cloths to try. I stripped down and used them everywhere. I even rubbed them into my sweaty roots. (I used my Yes to Cucumbers wipes on my face). I swear I smelled fresh a daisy, and I loved the soothing, cooling sensation after my workout. Genius. I love products that do exactly what they say they do. These are perfect to stash in your gym or beach bag for those times when you need to refresh on the go. For what it’s worth, I tried all three versions and they really all felt the same to me and had very subtle, lovely scents. This cute tube of brush-on cuticle oil was a spontaneous Sephora purchase a few months ago and it fast became one of my everyday habits. A keep-by-your-bed and throw-in-your-purse kind of thing. It’s effective and incredibly easy to use. I now realize that having conditioned skin around your nail beds has a huge impact on the overall appearance of your hands. Manicure or not. Hang nails, ragged, dry cuticles begone! I also use it around my pedicure. It’s especially good to use on feet now that it’s sandal season. A light application really perks up the look of your polish. File this one under: necessary convenience. 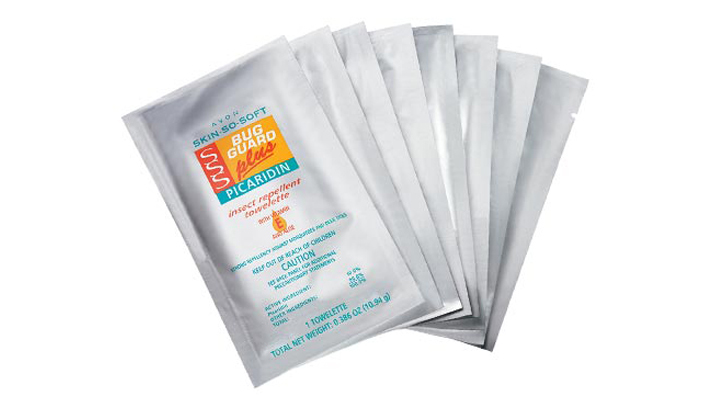 I love these sweet smelling towelettes not just because they are supremely effective at warding off mosquitos and deer ticks, or because they are easy to use and dry in instantly. I love them mostly because they are not an aerosol spray. Thank you, Avon, for sparing me from chasing my daughter around with a spray can of OFF, shrieking at the cold vapors. Here in the northeast, deer ticks, in particular, are ever prevalent. Also, I am that one person at the al fresco dinner party who gets attacked by mosquitos while everyone else enjoys their margaritas. This summer, I’ll be keeping these babies in a basket on the back porch next to my citronella candles. This lovely oil dry oil gives just the right dose of iridescence to any skin tone, with tiny golden flecks and just a hint of sheer color. Six reparative essential oils, including macadamia, borage, hazelnut, camellia and sweet almond, plus a healthy dose of vitamin E, make this luxurious Parisian oil the perfect compliment to your summer skincare routine. I like to put a few drops on my décolleté and arms for an evening out. 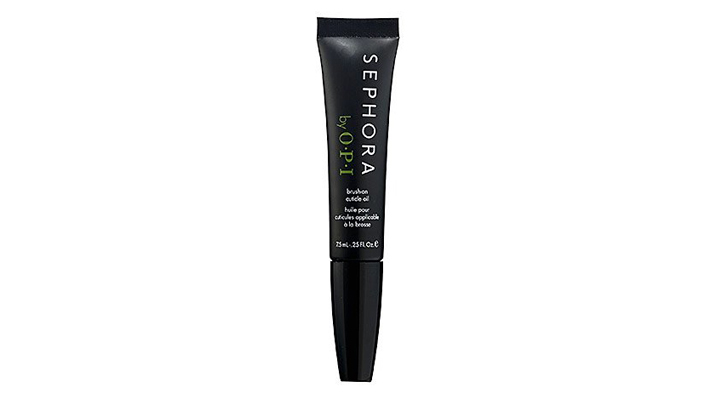 It’s beautiful on legs and can also be used (sparingly) on the face and hair, too—it looks subtly sparkly in the sun. 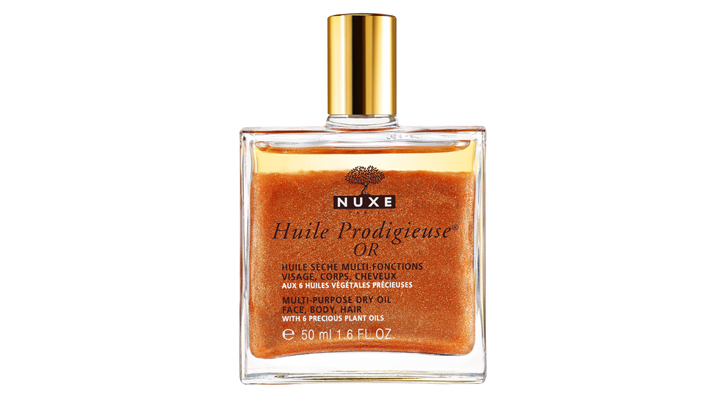 Nuxe’s Huile Prodigieuse is silicone, mineral oil and preservative free—and smells divine.